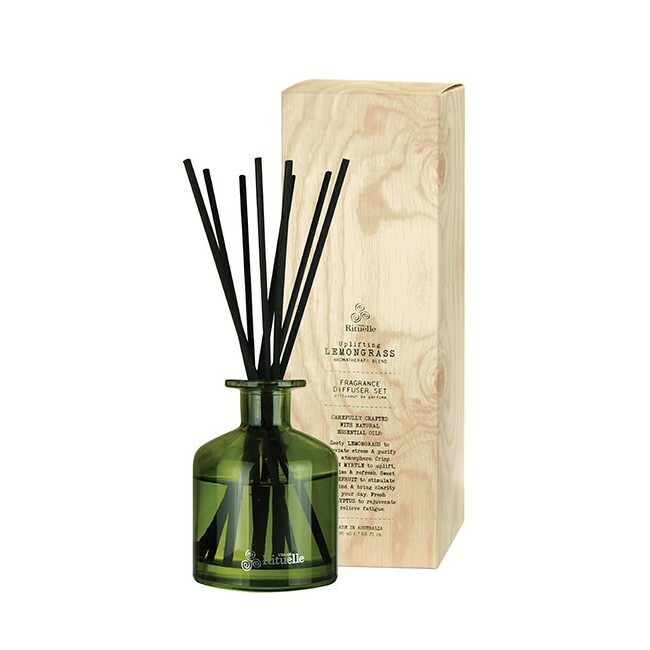 Formulated with a divine blend of essential oils, this long lasting Fragrant Reed Diffuser Set will gently release its scent to revitalise your home & enliven your mood. Proudly Australian made, this premium fragrance blend will effortlessly & safely radiate from the natural fibre reeds transforming your home into your very own scented sanctuary. Diffuses up to 6 months depending on air conditions. Non-flammable.